As related in my post THE BIGGER IDEA (AND ME AS WINGBOY), Dad was slaying it in the late 1960s. 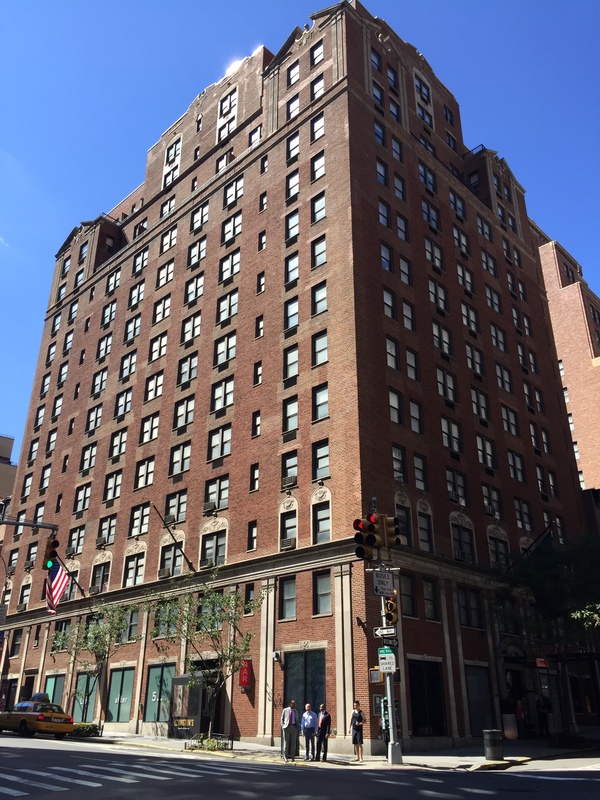 While he was enjoying a very active social life with his girlfriends Kay Kay and the two Jeannies, well, I was probably watching TV back at the apartment, a huge studio in the Peter Cooper Hotel on Lexington at 39th Street, just a short walk from the Pan Am Building. One of the Public Service Announcements (PSA) running that summer on television featured the song “Get Together” by The Youngbloods. The PSA was by the National Conference of Christians and Jews. Striking in its pleading and haunting sincerity, Get Together seemed to christen a beneficent future of hope and promise. Dad certainly seemed to be living a cool version of it, anyway. Pride of place was something I could relate to. A little clean-up always makes everything better. There surely was a need for it in New York City and I always thought of Dad as Lindsay’s equal. He matched the mayor in charisma and exceeded him in smarts, both easily. If Dad, Mayor Lindsay, and all of Dad’s girlfriends “got together,” then I reasoned that there was no problem too big for them to solve. However, this was not the way Dad saw it. Speaking of big problems, unfortunately Mayor Lindsay had one on his inauguration day, January 1, 1966. The transit union went on strike, wreaking major havoc. Lindsay promptly applied for a court order to force the workers back to their posts. In response, Union leader Mike Quill openly taunted the new mayor, repeatedly calling him “Mayor Linsley” in his Irish brogue. Quill declared “The judge can drop dead in his black robes. I don’t care if I rot in jail. I will not call off the strike.” (I was in school in Florida at the time and did not personally witness these events). Lindsay’s personal response to the strike was to walk 4 miles from the Mayoral residence Gracie Mansion to his office in City Hall. Lindsay was quoted as saying “I still think it’s still a fun city.” Hence the origin of the term “Fun City” for New York. Not everyone was in a mood to be so playful, however. Dad was very critical of Lindsay and said that he should have brought in the National Guard to run the subways and break the strike. While Big Labor had previously enjoyed much public goodwill – usually perceived as the underdog fighting unfair interests – this time they lost much of it as they inconvenienced and disrupted millions. It looked like Big Labor was now the out-of-control interest strangling the public in an unfair grab for the pie. The strike was eventually resolved by a settlement which unfortunately stretched the municipal budget too far. Mayor Lindsay went to Albany to ask for a new city income tax to raise revenues which was soon implemented. For Dad, this was the beginning of the end. I did not know it at the time but taxes were very much on his mind. By the end of 1969, he almost agreed with the managing partners of Marks & Clerk to establish a new combined super patent renewal agency. Based on Dad’s input, the new operation was to be based in Jersey, Channel Islands to avoid Inland Revenue‘s 90% income tax bite. Sometime in the fall of 1969, the potential deal unraveled, most likely because of head butting between Dad and Marks & Clerk Senior Partner Norman Waddleton. The exact nature of the fall out is not clear due to the passage of time, but both were known control freaks. So Dad and Norman went their own ways; interestingly, Marks & Clerk did proceed to base their new operation – to be called Computer Patent Annuities (CPA) – right where Dad had pointed, St. Helier, Jersey. This was made clear to me personally by Martin Chinnery. As detailed in my last post “A KNIFE AND A FORK IN A BOTTLE WITH A CORK THAT SPELLS NEW YORK,” Dad’s pride in New York City through life and song was something he shared with me. Therefore it was a great shock when he began murmuring about moving out of NYC during this period. I never believed for a moment that this was anything but simple venting. When I challenged him on it – as much as an 11 year old could challenge his own Father – he directly referred to that new city income tax. That was the source of his ire. “How can people afford it?” he demanded of me. I looked around at the city hustling and bustling around us. As I scratched my head and pondered his question, everything seemed to be the same as ever. “People just pay it,” I answered plaintively. I was 11 — what the hell did I know? Other than I loved my hometown that I only got to see during summer school breaks. Dad used the city extensively, both personally and professionally. He was born there. At times however he made the new income tax sound so dire that I was expecting to wake up one day and find that the city had vanished. Of course, every morning the city was still there. No one had moved out; the trains were still running. I tried defending Mayor Lindsay without knowing anything really substantive about him. In hindsight, he is often credited for having engendered exemplary race relations. New York City was spared some of the rioting that plagued other cities during the era. After Martin Luther King’s assassination, he personally went uptown to tell blacks that he regretted King’s death and that he was working to reduce poverty. That took balls. Unfortunately, Lindsay had too many other huge problems. There was a teacher’s strike, a sanitation strike, and a big snowstorm where the streets went unplowed (sound familiar?). It seemed all of a sudden like there was a mad rush to raid the city treasury — or suffer the consequences!!! Did I mention the spiraling crime rate? To all of this and to my horror, Dad started openly discussing 2 local alternatives to New York City – Connecticut or New Jersey. Dad’s New York City Residence 1966-1970 at the Peter Cooper Hotel, 39th Street and Lexington. 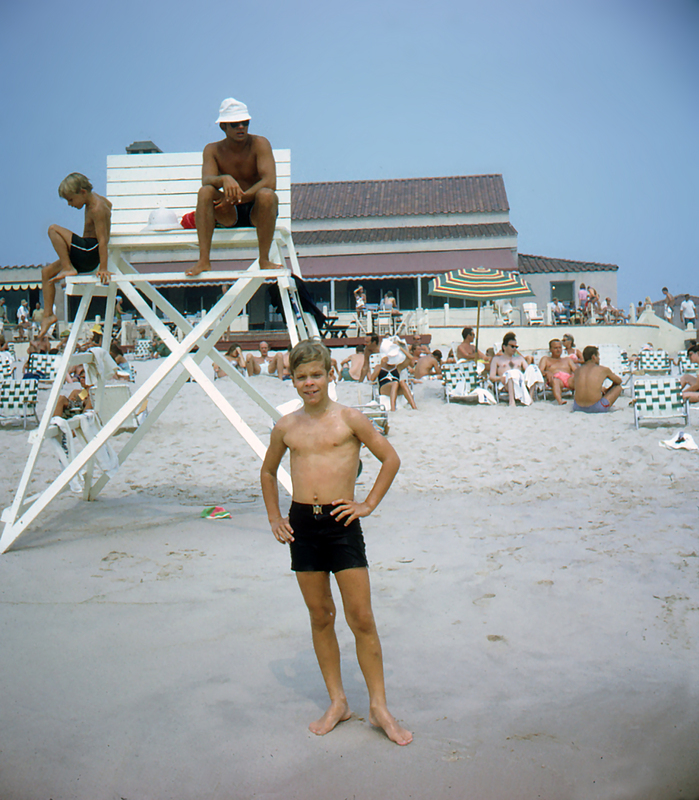 The author on the beach, August 1969. Photo taken by Bernard Olcott. I remember that era so well, especially the transit strike! Had to walk from the Port Authority Bus Terminal to Park Avenue and 55th Street in freeeeeezing temperatures, wearing white go-go boots and a fake fur coat (height of fashion at the time). You were a cute little boy! Both my mother and father were very active in the Lindsay campaigns on ’65 and ’69. 1965 was my first foray into politics. I leafleted for Lindsay and sold campaign buttons to raise money. I was only 8, but I was really into it. So, when a friend of mine’s father ended up as part of the production staff of the last televised debate of that campaign, I was very excited to be asked to come watch it being taped. My pal Arthur and I got into the elevator at the TV station (WCBS, I believe) one afternoon in October, in the company of the three candidates for mayor of New York: Abe Beame (D), John Lindsay (R), and William F. Buckley (C). While Beame was closed mouthed the entire ride, both Lindsay and Buckley entertained us with jokes and funny stories until the elevator came to a halt. The doors opened and the three men went off the the studio, to get back to the serious work of running for office, leaving Arthur and I completely starstruck. Great story! Abe Beame was definitely the odd man out! Next WHAT’S IN A BORDER?